Fun Craft for All Ages! Sometimes finding a craft to do with kids, friends or family on a day off can be tricky! You have to find something that all ages can do and enjoy, but you want to make sure it's inexpensive and worth it. Have I found the craft for you! I found this on Pinterest, and I've been waiting to try it! All it takes is a few mugs, plates, bowls, etc from the dollar store and some oil based permanet markers. I chose to do this fun couples mug set! It was simple, but super cute! It didn't take much time for me to draw on them because they're simple but you can make them as intricate as you'd like. You need to get the oil based permanent markers. These are the kid that can be used on glass and won't ruin your drawing. They're a little more expensive than your regular water based markers so try and use a coupon. Don't skimp out on this part otherwise your mugs won't come out right! The directions on the sharpie oil based markers made it seem like with a few shakes, your markers would be ready to work. It took a lot more than that including some aggressive shaking for a few solid minutes. Be prepared to do that to get the ink flowing. When you're ready to draw, try to avoid having to go over what you colored multiple times. You'll find that you'll see streaks of white almost like it's slightly erasing itself. You could try waiting for the marker to try and then go over bits to touch up. After you're done drawing let them dry for a while. The original pin I used said to let them dry for at least 4 hours. I happened to leave them overnight since I made them before bed. When they're dry, you'll be ready for the next step: baking them! You're going to want to place your glass pieces on a cookie sheet before putting them into a cool oven. There is a chance the glass might crack in the oven, so in case it does, it'll crack on a cookie sheet. Put them in a cool oven and turn it up to 375 degrees. Leave them in there for 40 minutes then take them out and let them cool. You'll be able to hand wash them and put them in the dishwasher. Just try and keep them on the top rack only! Then you're ready to use them! This is awesome for little kids because they can make their drawings permanent! They can make a stellar mug for mothers or fathers day! Adults can take it up a notch and make really fun mugs and plates to share with family and friends! 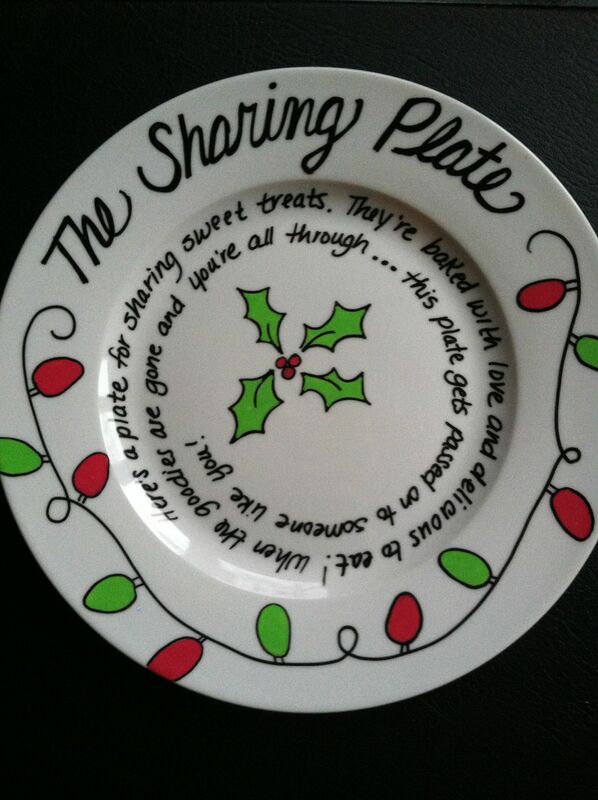 You can make a sharing plate which is what I'm going to do next! You can use these for yourself or share the love with the awesome people in your life. Use them to make fun gift baskets or as a nice touch to a gift card! The possibilities are endless and it's fun for the whole family! Love mashed potatoes? Then you'll drool over this recipe we found over Pinterest! Mashed potatoes is hands down, my absolute favorite food. I am all about finding new twists on my favorite food. I stumbled upon this pin from Pinterest and you need to try it. I mean it, this must be made in every kitchen and enjoyed by everybody. My sister, Stefanie, took the lead on this one while I waited to eat! Just a heads up, this does a good amount of time but it's 100% worth it! We got the celeriac at our local farm from our weekly CSA share and had been waiting to use it! It looks a little wild, my sister called it a "wildebeest" which suits it quite well! Make sure you cut all the "wildebeest" parts off and only use the inside of the celeriac. Keep your thyme together if possible, you're going to have to remove the entire piece before pureeing the celeriac mixture. ...but Goob woke up from his nap to clean it up! Don't throw away the outside of the celeriac. Instead, put it in a freezer safe ziplock bag or tupperware and use it to make fresh stock! Add in carrot peels, onion peels, etc to can make a great stock for yummy soup! After ricing the potatoes, we were ready to combine the 2! Stefanie used our masher to help mix in the celeriac mixture which really helped make the process go smoothly. We chose not to add any cheese, mainly because we didn't have any! We added a little bit of salt to taste and we only needed about 2 pinches. These were literally one of the most amazing things I've ever eaten!! I didn't eat anything else for dinner, just these mashed potatoes. We'll be making them again for Thanksgiving for the whole family! We think you should try it for Thanksgiving too! You cannot go wrong with creamy, heavenly and perfect mashed potatoes! So go ahead, take a little extra time to make the best mashed potatoes you'll ever eat! For the link to the original pin, please follow the link below! We are excited to announce that in a few weeks, we'll be launching our Guest Blog section! We have some great people lined up to talk about their small businesses, blogs and passions! I have found over the years that cancer has crept it's way into so many people I love lives. I remember when I was younger hearing about it, knowing families who were going through such unthinkable experiences. But I was just a kid, I didn't really understand the depths of it all. It wasn't until I was in college, it was my junior year and I was walking back to my suite. I had called my mom on my way home as I did daily. We always chatted about our days, how classes and work went, what the plans were for our nights. Everything seemed pretty typical with this conversation until I walked into my building and came to a halt. She broke the news to me that my aunt Carol was diagnosed with colon cancer. I remember standing inside the entrance of my building, just frozen in time. I was trapped in the perfect college bubble, living a life between being a kid and an adult. I felt like my world as I knew it had popped and I had fallen flat on the ground. The kid in me didn't know what questions I was supposed to ask, what I needed to know. The adult in me was instantly worried as I longed to be with my close knit family. That was over 4 years ago, and in that time I have learned tremendous things. I saw my aunt Carol harness the immense amounts of inner strength she contained. I watched as she chose to live and not to succumb to such an evil disease. She continued to live her life, to spend every moment she had with her children, Christopher and Jacqueline and the love of her life, Steve. She chose to enjoy those closest around her; our tight knit family and her closest friends. She took every opportunity she could to find all the happiness the world had to offer her. My aunt Carol, to this day has fought hard for her life, but she had notforgotten to enjoy it. I always say it's remarkable, truly it is. When life throws you flaming curveballs, some people will choose to strike out, but some, only the bravest, will swing with hopes of success. That's what she did, she swung at cancer. Because of that, she is here today, surrounded by those she loves and is guided by those who can no longer be with us. She has a bravery unlike anybody I have ever seen, she is truly an inspiration. I have learned not only from my aunt's personal battle, but from my family who has walked along side of her during these years. We have always been a close bunch, but it's pretty darn amazing to witness love that never waivers. Despite the most difficult and unbearable times, my family has stuck close to each other. It's all for one and one for all in this group. I sit here and think about my family. We watch my aunt go through all she does, and we all play a different role. We all pay close attention to what's happening but it's interesting to think about how we all approach it. There are those who are active in knowing the details, relaying information from one person to another, explaining procedures and options. We have the group who is in between, we are able to talk about it, to learn and to embrace reality as it is but in a way, we take a back seat in the process. Then there are those who have a hard time dealing, who are aware of the details but find it difficult to acknowledge because that would make it more real than it already is. The combination of the three groups though, I have decided, it's essential. There are moments where we need to be 100% proactive, there are times where we can intertwine the situation with other events, and sometimes we all desire the distraction; the moments where we can just be. My family unit, our whole gang, is pretty incredible. No matter where any of us stand, we know that when we have to, we'll stand together. That's through thick and thin. It's reassuring to know (even though I've always known this), that my family is there despite awful nightmares that haunt us. They'll be there to coax us through, to tell us that tomorrow will be better. They'll celebrate the wonderful days we have, love us despite our flaws and make sure we know that their support will always be there. The journey my aunt Carol and my family has been on these years has been filled with bad news and great news. We have faced the darkest times, but have always found the light and will continue to do so. So, that's why I relay. I relay for my aunt Carol because I want to fight hard in any way I can. I learn from her daily and strive to be as strong and amazing as she is. I relay for this gang of care givers I call my family. Because without people like that in your life, the bumps in journey become larger and more impossible to surpass. I relay so that one day, nobody will have to face the evils of cancer. That no family will have to go through what so many have gone through and are going through. I relay for more birthdays, for finding hope in the darkest times and for the everlasting love we find on such journeys. I relay because it matters. ~Biggest tip: Make sure the water is cooled before you pour out the water!!! So off I went downstairs to my teapot. I let it scream and poured the water into each candle. I did this before bed, so I was able to leave it overnight to cool. The next morning I came to find a lot of solid wax at the top of each candle! I used a butter knife around the edges to pop out the wax. The soy candle was the only one where all of the wax came out. Both of the regular wax candles needed a second go around. So I repeated the steps and let them cool while I was at work. When I came home, I removed the remaining wax with my butter knife. A ton came out! I dumped out the water and went of to wash them. I started with the soy container and it washed out 1,2,3! The other containers that contained regular wax though, needed to sit in warm water with soap just for a few minutes so I could wash out the remainder of the wax sticking to the bottom and sides. But they cleaned up so nicely!! This was a successful Pinterest attempt! The soy candle was definitely the easiest to get the wax removed. The other two weren't difficult, but if you want the containers fast, plan ahead. I would suggest having to do the steps with regular wax candles twice. But it was worth the outcome! I'll probably try out making my own candles in the tin container and I'll remove the labels from the glass containers and try out another type of craft! ...except for my roots. I decided I wanted to try an at home hair mask. As always, off to Pinterest I went! I always heard that using an avocado as a conditioning mask worked really well. So I went ahead and searched for a bunch of pins and landed on this one particular pin that looked simple and easy especially since I already had everything I needed. The directions are self explanatory and the whole process will take you about a half hour before hopping into the shower. Quick tip: Take out a blender and actually blend the mixture. You're going to want to get out all the clumps before applying it to your head. Quick tip: Have a pair of plastic gloves ready so your hands don't get all sticky. Grab a few large pieces of cellophane also to wrap your hair when you're done. Simply clip it up or put it in a bun and wrap the cellophane around your head. It'll keep anything from dripping on you. FYI, my hair type: I have pretty thick, coarse curly hair. Super easy to make and to apply. I had high expectations that my hair would come out ultra shiny, my hair type didn't with this one. 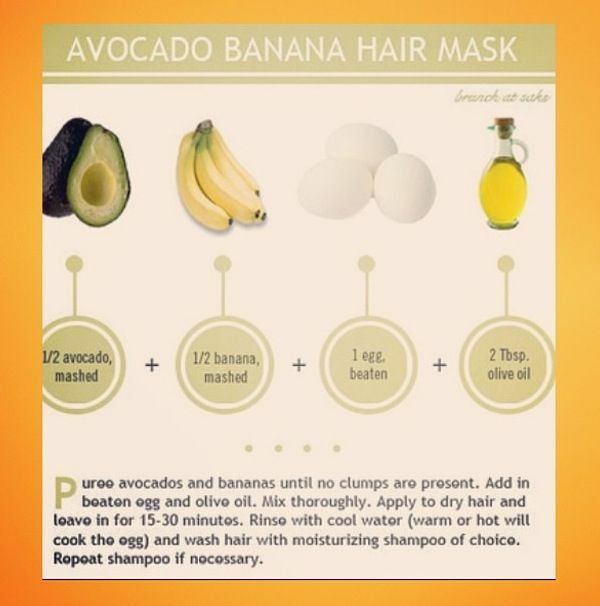 Overall, I think I would try a variation of this hair mask. See what works best for my hair type. I'll report back when I try a new one to see which worked better! I'm not sure why all of the sudden this has been my thing, but I've been really into it. So last week, I got this new great nail polish. The color was gorgeous and it lasted better than most other polishes. But then I took it off. All my nails were stained despite putting on a base coat. My skin around my nails got stained somehow from removing the nail polish! My natural instinct is always to either call my Aunt Lisa or now, check Pinterest. Since it was late when this happened, I took to PInterest to help me solve my problem. So, I tried 2 different attempts, one on each hand. Which do you think worked better? A bowl of warm water, 2 tablespoons baking soda and 1 tablespoon lemon juice. Mix the warm water and the baking soda together, stir it. Add the lemon juice and wait until the fizzing stops for you to soak your hands. Once you're ready, soak them for a minute, then put the paste from the bottom of the bowl onto your nails and scrub with a brush. This worked pretty well. I repeated it twice though, the second time I left the paste on my fingers for about 2 minutes before scrubbing. Buffering my nails after washing them helped take the remainder off. For the original pin go here. I wanted to find a second way that was pretty different than the first. So, I found this pin that was solely a picture but I figured I could handle it. A bowl of warm water and whitening toothpaste. I had to make up my own rules here. I put a little bit of toothpaste over each of my nails. I let them sit for about 2 minutes. I dunked them super quick in my water before I started to scrub. That is all! This attempt took a lot more scrubbing than the first, but I only attempted it once. After buffering my nails, it removed the little polish that remained. For the original link to this pin, go here. I think I'd go with the first attempt again. I didn't mind having to do it twice, but I was over the scrubbing my nails for so long when trying the second attempt. Both ways though gave me the same results so I can't say one worked better than the other. Being able to buffer really finished it all off for both attempts so now my nails are back to normal! Hope none of you has to deal with ridiculously stained nails from nail polish! Remember, if you want us to try a pin for you, send it our way! I am a huge fan of Pinterest as many people are. I love getting new ideas, trying new recipes, seeing what people are up to and feeling inspired. But sometimes, when you go to try something, you'll quickly learn that it doesn't turn out how you'd hope. There are times it can be discouraging and it might turn you off from trying something because it can be a waste of time. That's why I've decided to keep trying some cool pins to see how well they work, and report back to you all! So tonight I'm going to start with some great tips I've gotten from PInterest when doing an at home pedicure. I've begun to do weekly at home pedicures about a year ago. It's something I do every Sunday night and I love this mini ritual I have! I started just soaking my feet with warm water and epsom salt but eventually I decided I wanted something that would give me a better pedicure. So off to PInterest I went! Here's what I have found have worked the best to get soft, post spa looking feet! Try them out and see what works best for you! Get your extra warm water ready in your foot soak and add your salts or oils like you would normally do. Now, to help remove the dead skin from your heels, add about 1/2 cup vinegar (either white or cider) and a 1/2 cup of listerine. Yup that's right! You'll want to let them soak between 15-30 minutes. The best tip I have found though is in the exfoliation. I've used my epsom salts with pumice stone, but now I typically only use brown sugar. (Obviously keep a separate stash for pedicures.) After you've soaked your feet, use your pumice stone to exfoliate with about a small handful of brown sugar. You only need to do this for 2-3 minutes to see great results. Pumice in circular motions over your your feet, I apply a little bit of pressure to help get them smooth. The damp brown sugar will be sticky so make sure to rinse your feet and wash your hands just like your normally would. You'll notice your hands will even feel pretty soft after this! Lastly, moisturize! You can use any type of lotion, I prefer cocoa butter lotion (I tend to use the Vaseline brand) and make sure you have a pair of thick socks handy. You don't need a lot of lotion, rather take a bit and massage it into each foot. I then add an extra thin layer of lotion on before I put a sock on. After about an hour or so, I'll repeat that for double moisture! So there you have it! I've tried a bunch of different things to get the perfect pedicure routine. For me, this gives me the best results every single time. So go ahead, take an hour to give yourself a pedicure, you deserve it. Spoil yourself! Stay tuned for more posts where we try out some pins! If you see one you really want to try, but don't have the time, send it to us! We'll check it out for you!